Those who searching for a job with a criminal background may find that they are having a hard time getting anywhere. They may be stuck in jobs that they don’t want, or can’t find a job at all. There may be hope for those who have made a mistake a long time ago and want to start over again. Those who want to open up some more doors in their life should look into Alaska expungement. This will keep employers from being able to see any of the past convictions and arrests when they perform a background check. 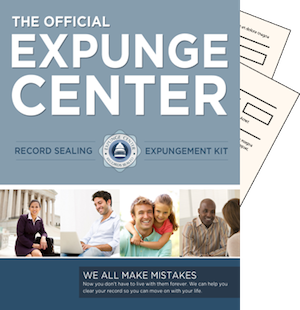 Those who are interested in trying to expunge record in Alaska need to make sure that the conviction they are trying to have removed is eligible for expungement. This state has very strict laws about what can be removed from the criminal background, and those who want to get started should contact the court in which the case was heard. In this state, there are not currently any laws on the books concerning having conviction removed. This can make going about this process very tricky. The only way to get a conviction sealed is if there is irrefutable evidence that the charge was a result of mistaken identity. Finding the way to do this is hard, and some feel that they have to hire a lawyer in order to figure out what steps to take. However, hiring a lawyer can be very expensive, and for those who can’t afford it won’t be an option. There are kits available that give people all of the forms that they need in order to get their background cleared. This makes it so much easier than trying to figure it out alone. This makes the whole process so much simpler, and it is at a much lower cost than hiring an attorney. In Alaska, those who want to have their record removed will need to send a completed request to seal criminal record along with all of the other information from their case. This case makes it simple in order to get this process going. It is simple to use of these kits to get started, and those who want to get started can order it and avoid spending too much money on a lawyer. Those who have their criminal background cleared will be able to get the jobs that they previously weren’t able to be considered for, and that can offer new opportunities to life to those who made a mistake a long time ago. This state has stricter laws, so figuring out what to do can be confusing. This kit makes it so much easier, as all of the forms needed included are included.